Once again our rescue group has had its busiest year ever. The situation for cats just seems to get worse and worse, with more and more cats than ever being abandoned and as is so often the case these cats are also not spayed or neutered, because of this the situation can only get worse year after year. We are always full to overflowing and yet we still have a long waiting list. Each time we home a cat we immediately take in the most urgent case from our ever growing waiting list. On many occasions we end up with urgent cases being placed in a foster mum’s spare bedroom or anywhere in the house that is suitable. Each year we re-home over 250 cats and kittens and always have around 70 cats in at any one time. This year the cats and kittens do seem to be with us longer before finding a new home. We are also finding we are getting calls from much further away i.e. Salisbury, Bristol and Bath and a lot from Swindon. People who are desperate and can find no help where they live try further afield, we are a small group but much bigger rescue groups are giving out our number to people needing help with ill and injured strays etc. We have had many distressing cases needing urgent vet treatment. 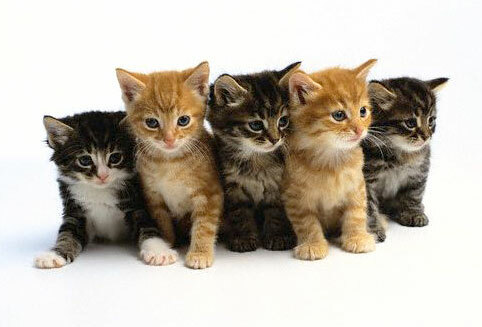 Due to the recession and therefore family financial situations more and more people are moving into rented properties and for some reason landlords will not allow them to take their cats. This is causing us huge problems. We also find a lot of younger people get kittens from friends because they are so sweet and cuddly, with no thought of the cost involved. Vet bills, booster jabs, neutering or spaying come as a huge shock and as a result the kittens are often abandoned or they ring us when they are swamped with kittens. Also many people think they can make money from selling kittens but when they find they have no one to sell them to they are then abandoned. This year we have had a bigger problem with kittens than previous years, well over 50 in at any one time all through the summer months. We have had 33 kittens from one garden alone! That all started because one pair of cats were not spayed, we took from the same house 9 adult cats which all had to be neutered and spayed and 15 of the older kittens also had to be spayed and neutered. As we are just a small group we have to do our own fundraising as well as look after the cats. I do a stall for 3 days in the craft marquee at the Chippenham folk festival at the end of May and we have 2 big stalls at the Lacock village fair on August Bank Holiday Monday. We also do other stalls and car boot sales throughout the year. We have a number of kind people who are a great help to us. One lady makes us 100’s of cards to sell on our stalls and on vets counters etc. She is grateful for old cards and calendars; these can be put in one of Cat Rescues food donation bins. We also have another lady who makes beautiful cards and ladies who knit or crochet lovely warm cat blankets. We are as always very grateful to the kind people who give us cat food from time to time. As usual we have a large number of lovely cats looking for kind loving homes. As mentioned earlier our waiting list with many urgent cases never gets any shorter as there are more and more cats each year in need of help. Of course the more cats we take in the more our vet bill grows! We are so grateful to all the kind people who give homes to our cats and to the caring people who help us in various ways.